as a boy, Eloise in Paris used to be in the attic, it belonged to my sister I think. I loved the writing, the way Kay Thompson said so much with so little. 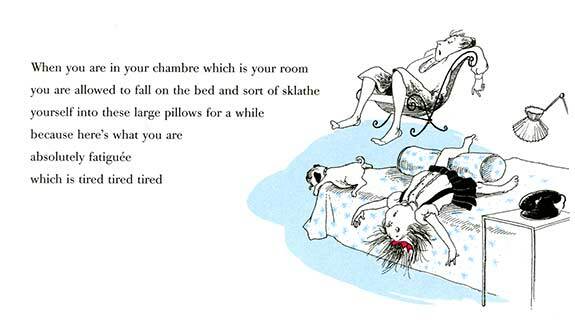 And her invention of words, I've never forgotten when Eloise first arrived in Paris - she sklathed about in the bed. The Lady in the film will be sklathing about in bed at the beginning of the sequence. When I started working in television it was a treasure hunt across the South East of England, in and out of old castles and hop farms, oast houses and barns, all Land Rovers, helicopters and hovercrafts. Because of the "live" nature of the event, we used two cameras, and to keep them in sync., the Production Assistants explained to me about A & B rolling. On Wednesday I only had one day to film the sequence, so used two cameras to save time, and, Hey! - we were A & B rolling, so I can sync. both cameras in post production. the fine wire by the surgeon's thumb is the business. 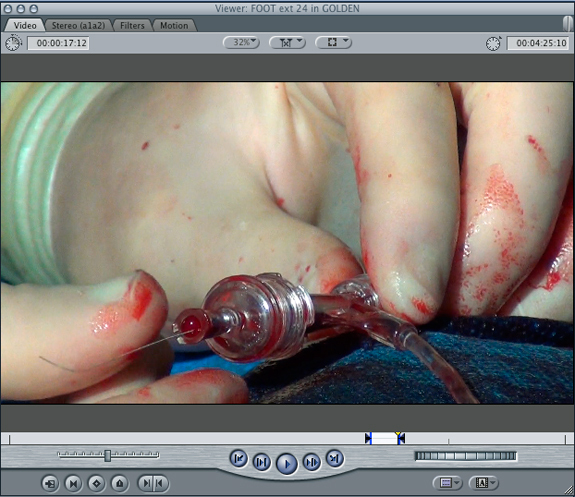 This goes through a blood vessel to the heart and enables all sorts of repair work to be carried out there.